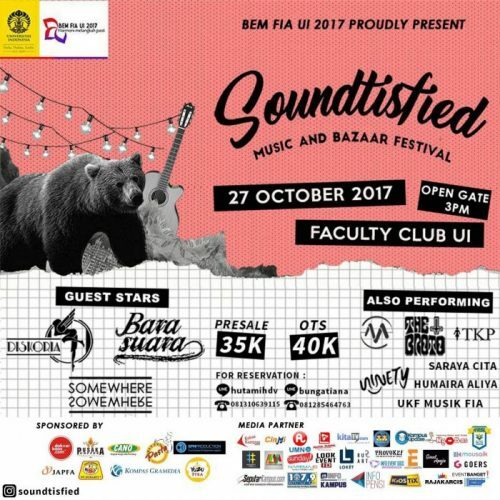 with our special guest stars Bara Suara, Diskoria Selekta, and Somewhere Somewhere, including our many other performances that will ready to give you a long-lasting moment. And don’t forget to bring your pennies because there’s lots of food & fashion bazaar that will satisfy you even more! MARK YOUR CALENDAR AND BE THERE!
? 27 October 2017 ?